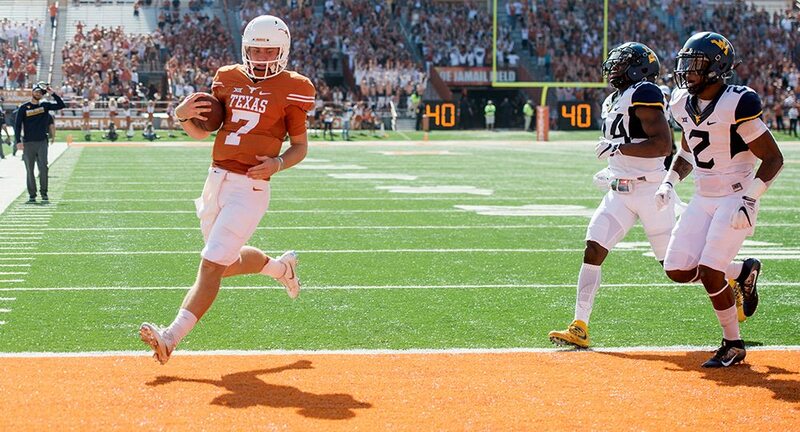 Sophomore quarterback Shane Buechele fared well in Saturday's rout of Baylor, but Texas football head coach Tim Herman said that does not mean Buechele will start again over the now-healthy Sam Ehlinger (photo courtesy of texassports.com). WACO, Texas — Winning is tough in college football. Winning on the road, no matter the opponent, is even tougher. Given those parameters, there was a lot to like about Texas’ walk-in-the-park 38-7 victory Saturday over hapless (and winless) Baylor on a cool and sunny afternoon at McLane Stadium.